We have arranged 2 separate clinics this summer with Terry Goodman at Albert Dyck Park, the first clinic is scheduled for the weekend of June 9-10 and the second clinic will be June 23-24. If you have not skied with Terry before, he is a great coach and you should try to take advantage of him coming to our site. 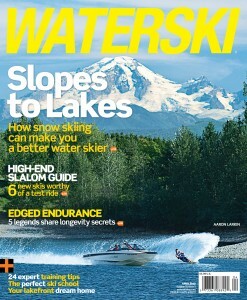 Terry is also a 3 event coach for all the skiers wanting to trick and jump as well as slalom. The clinic schedule will be based on demand but we anticipate doing full day clinics for both weekends, if we do not have enough registrants for full days, then we will do half days. Based on full days, skiers will either ski 2 sets in the morning 8 am – 12 pm, or 2 sets in the afternoon 12 pm – 4 pm, to avoid being on site all day. If you ski in the morning the first day, you will ski in the morning the next day, same for afternoon skiers… unless you can find someone to switch with. Skiers may also choose to ski more than 2 sets per day if interested, we can stagger those sets over the entire day if necessary. You will be required to register for both days of the clinic (4 sets min.) If you only want to ski one day, you must register for the 4 sets and you will be responsible to find someone to split your sets with, as well the registering person is required to pay for the 4 sets and can work out the finances with the other person. The club will not be responsible for collecting for both skiers. Registration for all of our clinics will be first come first served. FVWSC members and Vancouver Waterski Club members will have the first priority to register until April 30th, it will then be open to all other skiers. Please keep in mind we cannot mix sets between the two weekends; they are separate clinics and a minimum of 4 sets must be registered for each clinic. – FVWSC and VWSC members – now until April 30th. – All skiers incl. FVWSC and VWSC – beginning May 1st. Please sign up ASAP so we can determine how many skiers we will have and make firm plans well in advance with Terry. – Morning session is from 8-12, afternoon session is 12-4. * You MUST register in advance to ski in the clinic. * Please email Scott to register for the clinics and indicate which weekend you are registering for and whether you want your sets in the morning or afternoon. * DO NOT pay until Scott has confirmed your space with you. Once Scott has confirmed your booking, you will be required to make your payment via Karelo.com, on our website. OGDEN, UT – GOODE is now offering a special DEMO offer on its PowerVest System. 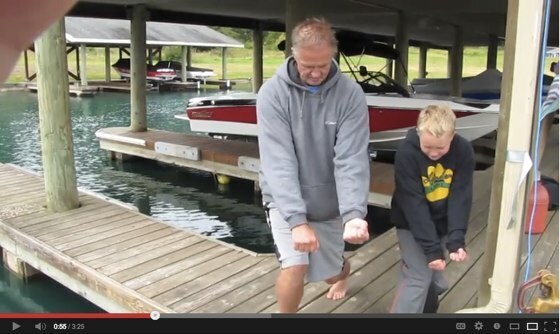 For only $25.00, you can demo on your own lake, at your own pace, the GOODE PowerVest System. The PowerVest System reduces load to your back in a similar fashion to that of a hiking backpack . You want to carry the load (or weight) on your hips, not your upper body and back. By reducing excessive load forces to your upper body and back, the PowerVest reduces muscle fatigue, reduces the repetitive compressive load on your back, and increases your strength and endurance. The results are conclusive: skiers wearing the PowerVest System can pull 25%-50% stronger with over 5 times the endurance than skiers not using the PowerVest System! 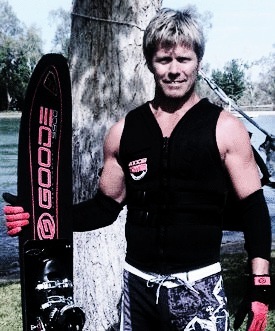 Jeff Milford won the Men’s 3 Division at the 2009 GOODE Water Ski National Championships using the GOODE PowerVest System. “My GOODE PowerVest allowed me to ski a Personal Best. I could not have done it without it,” Jeff Milford said. 34mph World Record Holder, Dave Miller said, “I have only been skiing a couple of weeks this spring and I have worn the Goode Elite PowerVest almost every set. I am amazed at the way it saves my body, especially when I make a mistake in the early season. I have been training a bit at 58 K and I have found that I can run 11.25 with the PowerVest quite easily. Contact GOODE at 1-888-GO-GOODE (1-888-464-6633) or 1-801-621-2300 with questions or to get more information on DEMOing the GOODE PowerVest System.